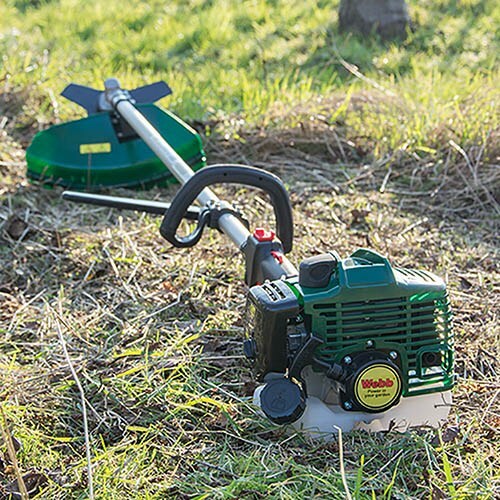 The Webb BC26 can tackle more demanding domestic gardening tasks like cutting back long grass, nettles or weeds. This versatile brush cutter comes with both a nylon line head and a metal blade. The nylon line head is ideal for most domestic trimming. For tougher domestic tasks change to the metal blade.